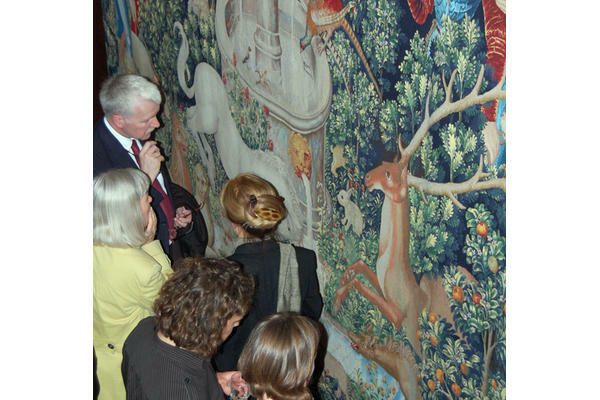 Last week saw the opening and Private View of 'Finding the Unicorn - Tapestries Mythical and Modern', an exhibition at The Fleming Collection, which runs until the first of June 2013. 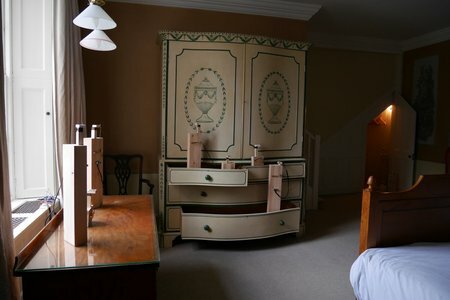 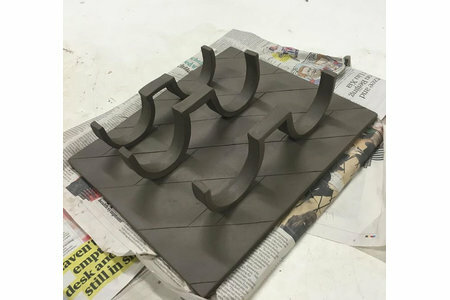 Over a two-day period, representatives of both the Fleming Collection and West Dean College - including Nick Benham, Neil Finch, Katharine Swailes and Caron Penney - installed over thirty pieces for the show, including work by Pat Taylor, Michael Brennand-Wood and Philip Sanderson. 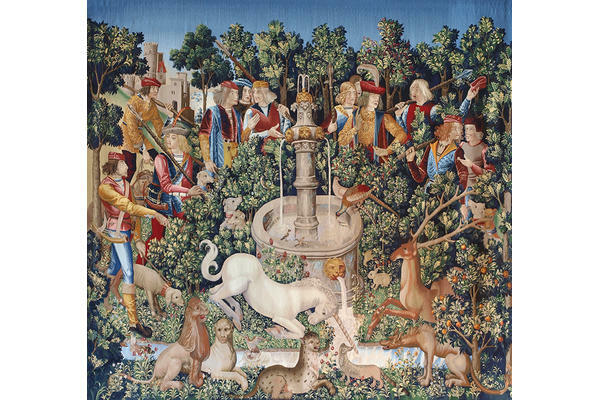 The centrepiece of the exhibition, The Unicorn is Found, a large-scale tapestry (measuring 3.3 x 3.43 metres), is one of a series of woven by the West Dean Tapestry Studio in connection with Historic Scotland's refurbishment of James V's Royal Palace at Stirling Castle. 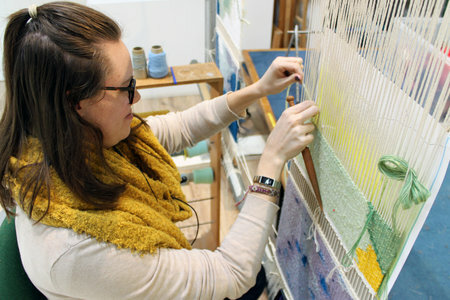 This is the first time the tapestry has gone on public display outside Scotland.